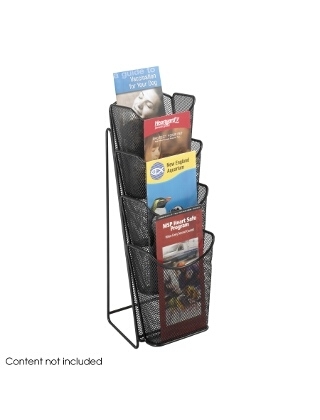 Onyx Mesh Counter Displays make displaying your pamphlets and magazines a breeze. Made with sturdy steel mesh construction allows the literature to be easily seen and accessed. Magazine sizes come with removable dividers to allow for pamphlet storage.